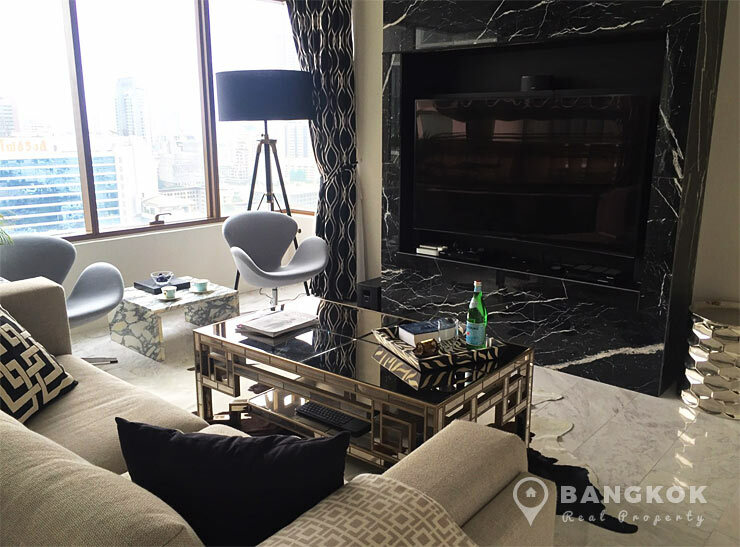 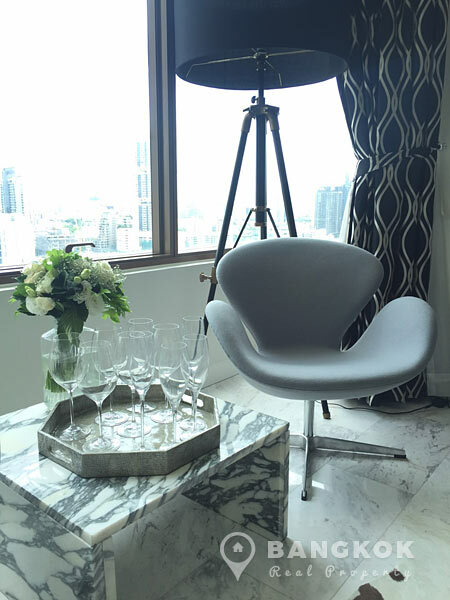 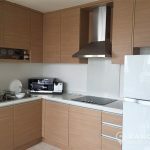 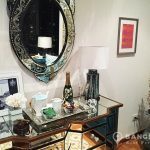 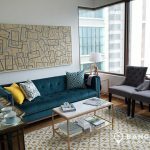 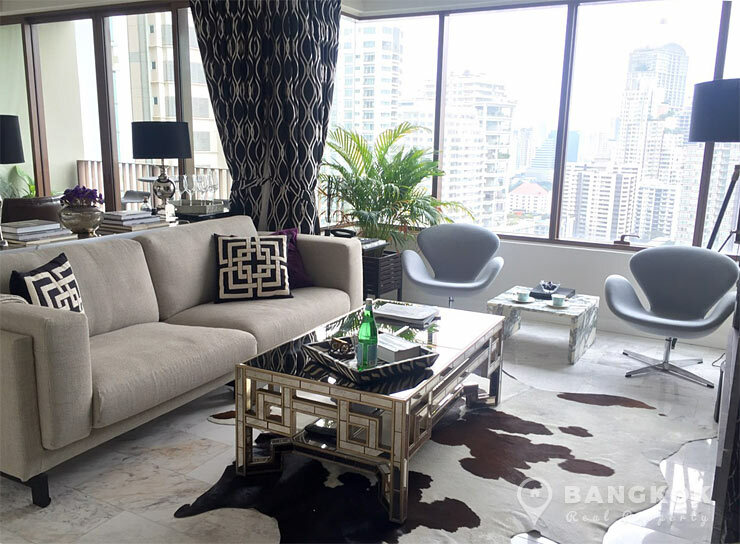 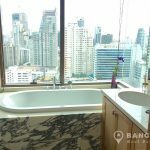 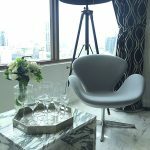 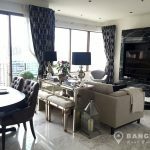 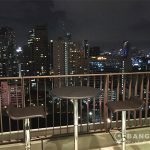 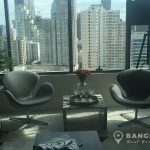 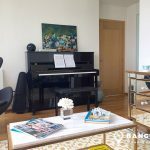 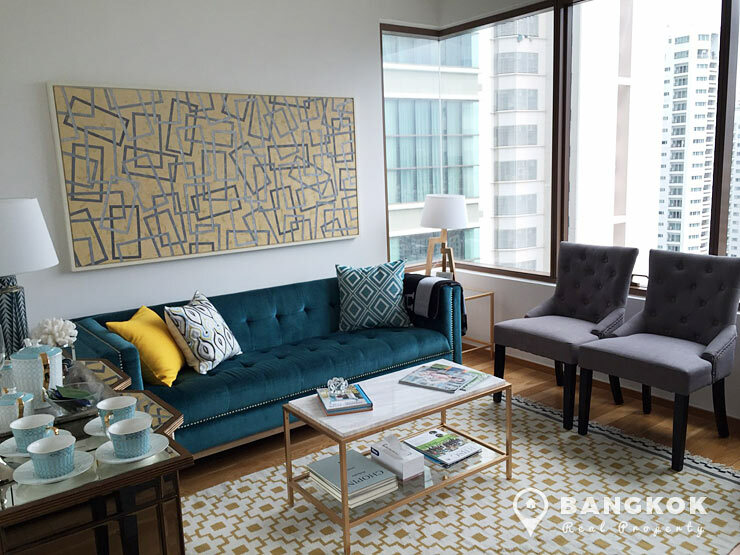 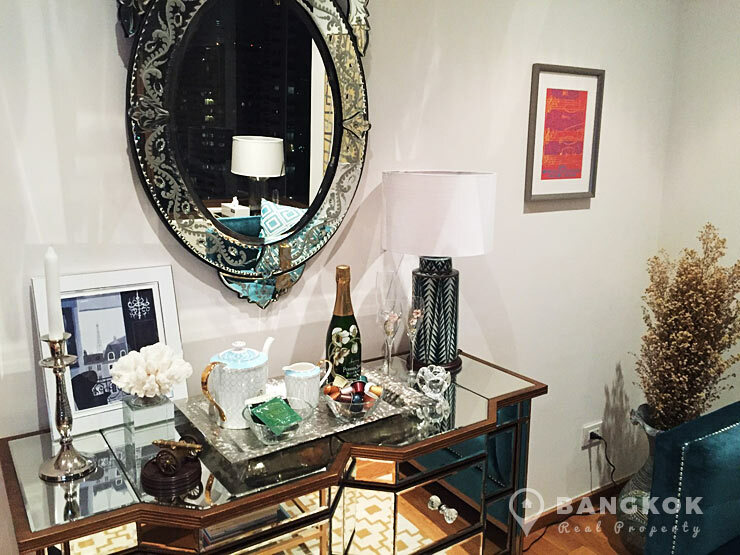 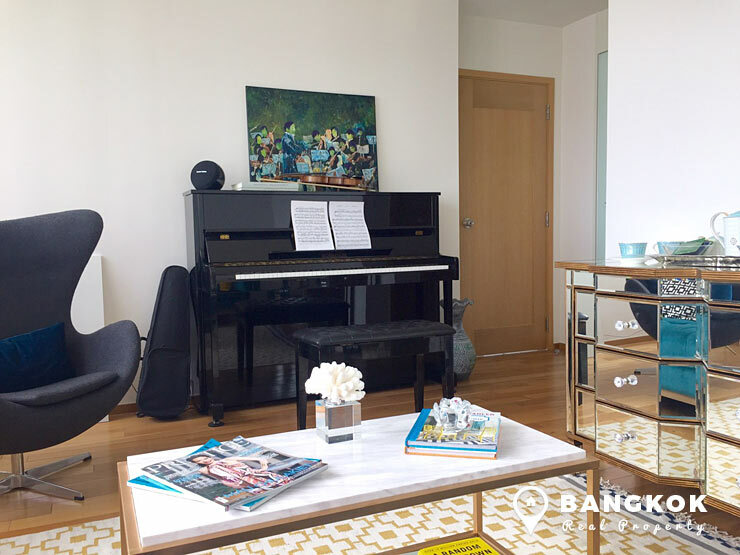 A stylish, modern, 2 bedroom condo is now for sale at the The Emporio Place condo on Sukhumvit Soi 24 in the heart of Sukhumvit’s Phrom Phong district. 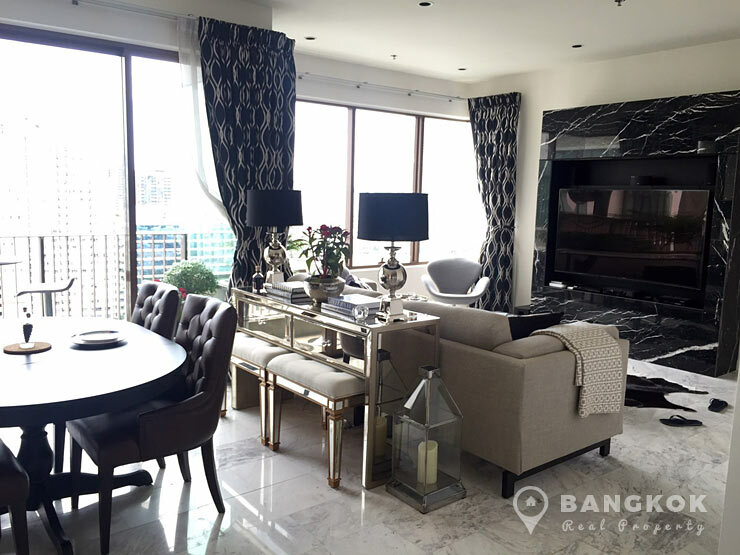 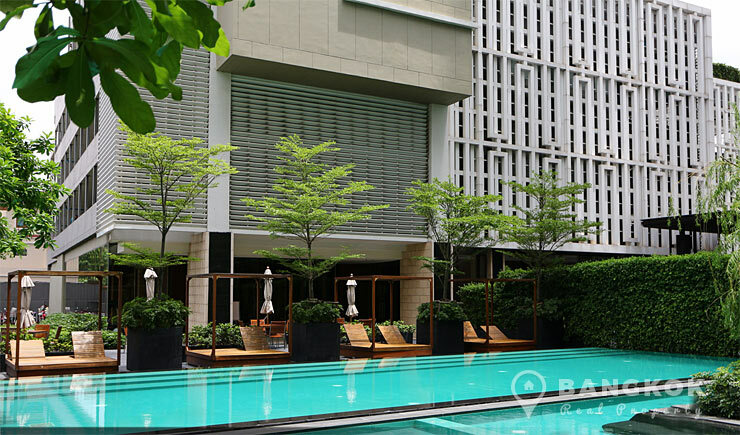 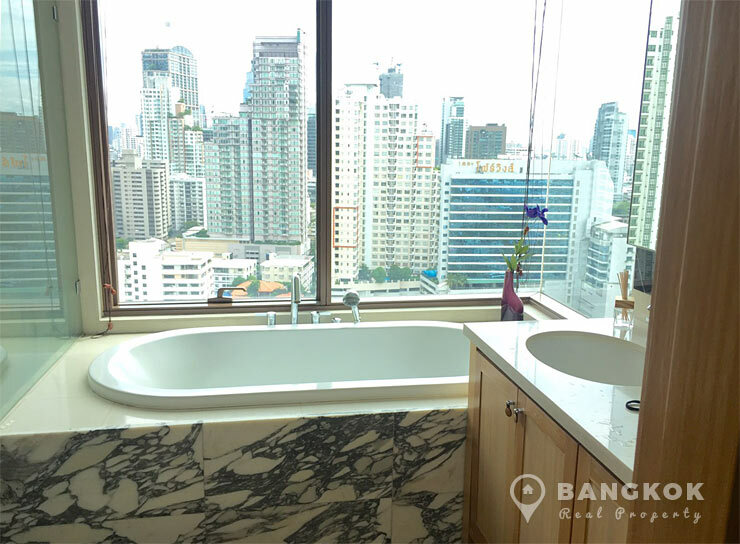 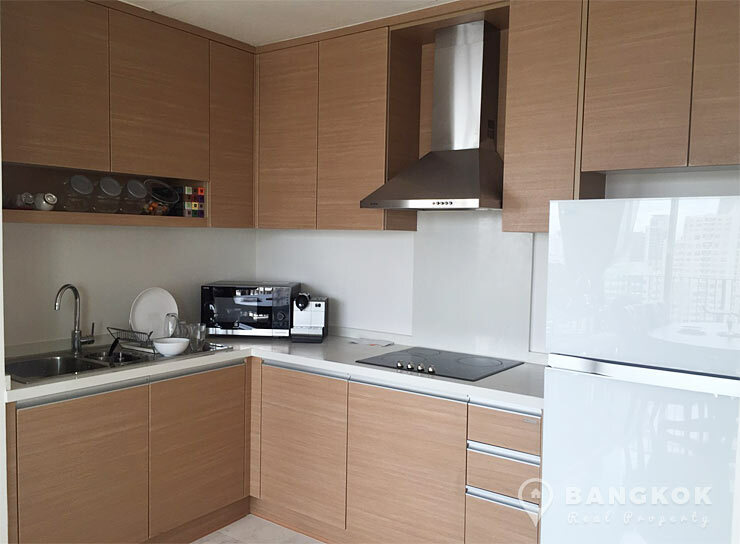 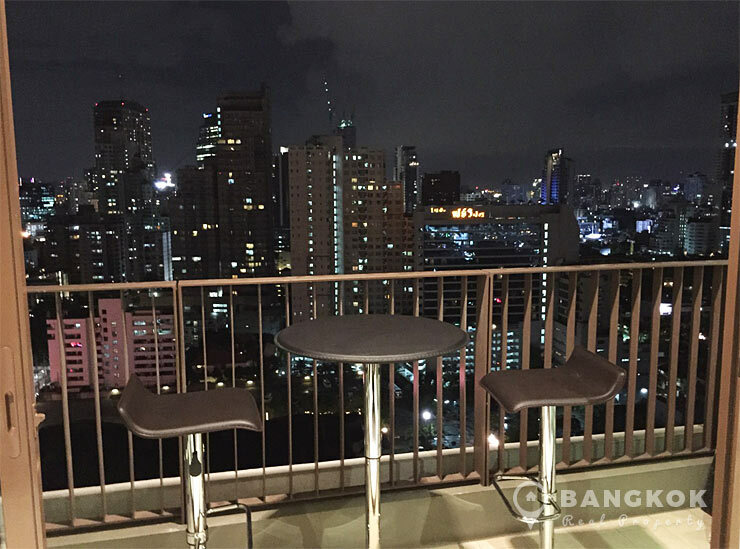 This prestigious high rise development by TCC Capital land built in 2010 is located within easy reach of Sukhumvit’s many amenities including EmQuartier, The Emporium, UFM Fufi, Villa Market, Benchasiri Park and is close to Phrom Phong BTS. 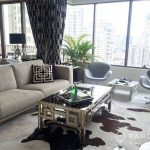 Situated on a high floor of The Emporio Place with 2 bedrooms, 3 bathrooms, 110 sq.m with large balcony, this stylishly decorated and furnished condo has fabulous un-blocked views of the city, a large modern European style kitchen with great storage and full appliances, 2 large double bedrooms with ensuite modern bathrooms and guests have use of a guest powder bathroom. 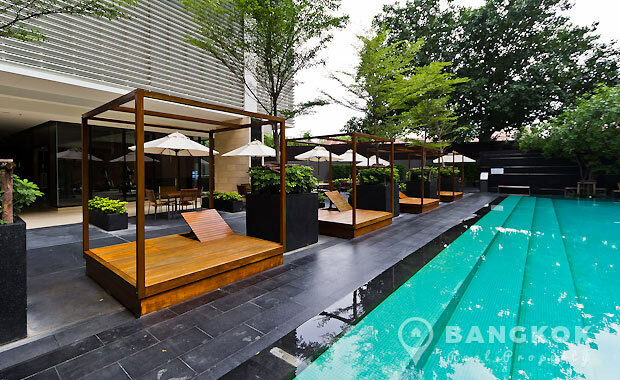 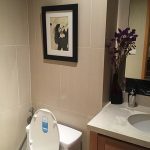 Residents enjoy premium facilities with a outdoor courtyard swimming pool with sunbathing deck, gym, sauna, garden terrace, BBQ & entertainment area, cafe, kids playground, mini-mart and tennis court. 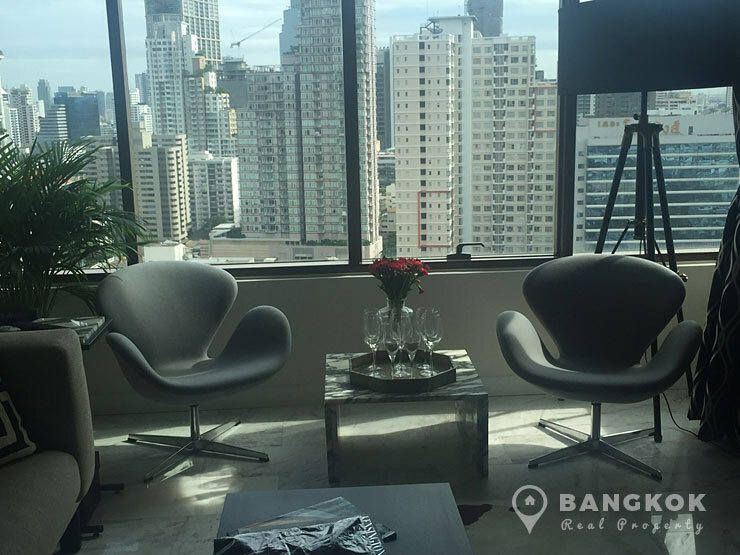 The Emporio Place is a condominium project, located on Sukhumvit 24, the the heart of Sukhumvit with easy access to BTS Phrom Phong. 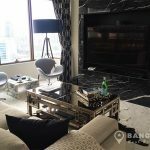 Developed by TCC Capital Land, The Emporio Place was completed in 2010 and this high rise project comprises of 3 buildings each with 42 floors with 361 units, a mix of 1, 2 and 3 bedroom units.